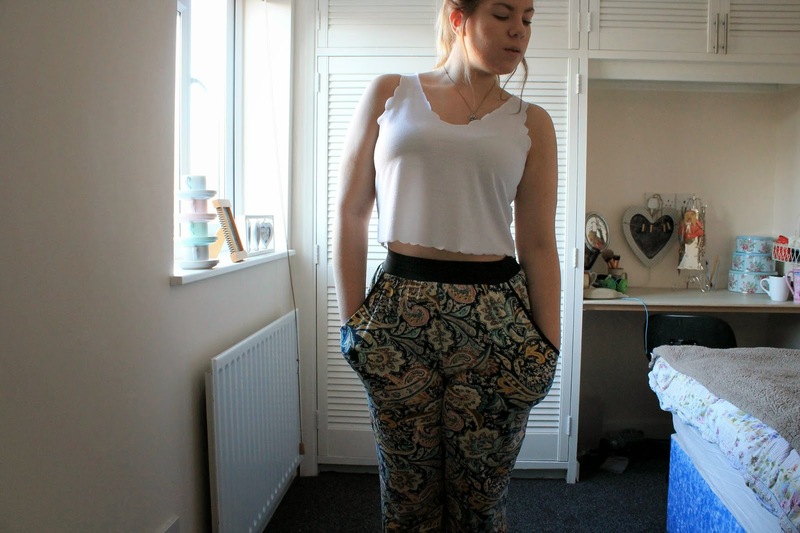 Today I'm going to talk about the softest trousers in the world. No I am not joking. Let's get into it then eh? 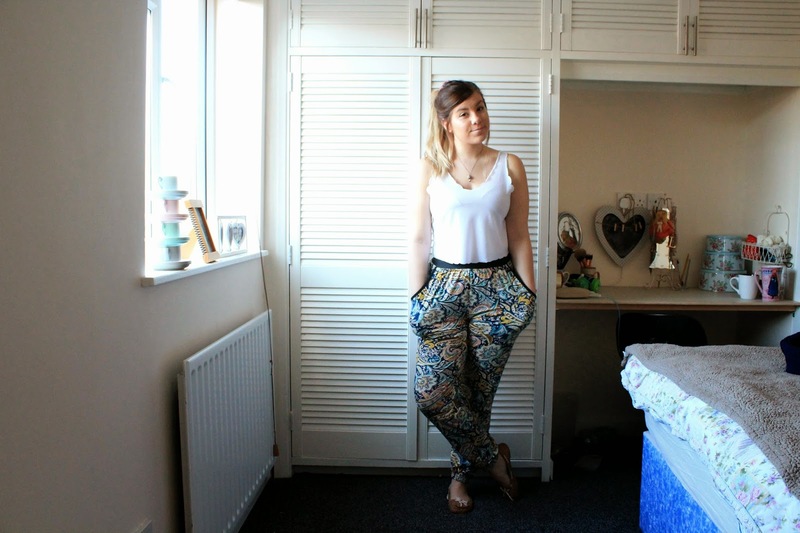 Patterned trousers have become huge this season, and I can understand why! The slouchy fit and soft material makes it feel like suddenly it is socially acceptable to wear your pajamas in public. (Note: Please don't actually wear your real pajama bottoms). I'm obsessed with the pattern on this pair I picked up in New Look the other week. I think it has a really regal look about it - you know like those luxurious curtains you get on beds in National Trust properties. Yeah that. The colours are bang on with the traveler trend & I love that it subtly incorporates one of the most popular for A/W, Mustard yellow. Design wise I've not seen anything else as intricately developed as these and I think this really makes them stand out from the crowd. Also did I mention that they are literally made of the softest material that ever existed. I'm one of those shoppers who walks around the shop feeling everything (the clothes before you get any other weird ideas) & that is exactly the reason that I even spotted these trousers in the first place! One touch of the fabric & I was sold. Now whenever I wear them I always get everyone to feel them just to see the look on their faces. It's fabulous. I bought this cropped off white top from Topshop back at the start of the Summer & never really wore it as I accidentally left it at my Uni house...oops. However it's rapidly becoming one of my key pieces for the transition from Summer into Autumn. I really enjoy the feminity that comes from the scallop hem and the material is lovely and lightweight. Perfect for those unexpectedly warm days. 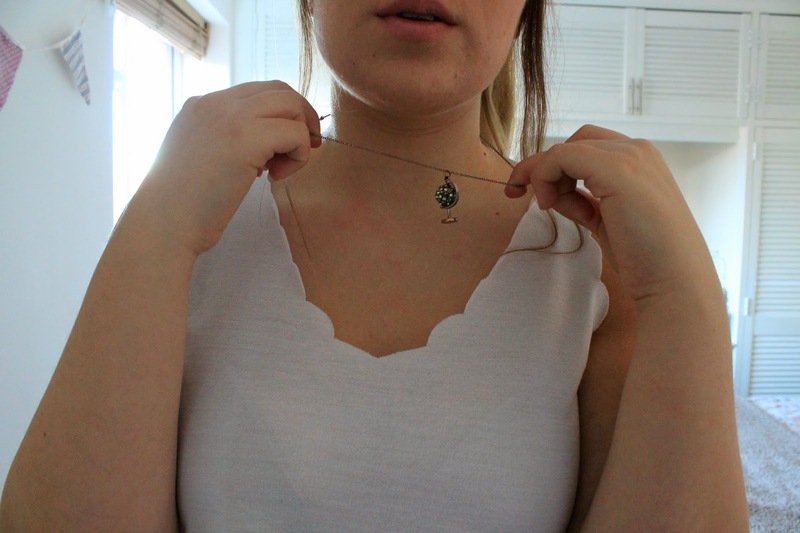 To fit in with the traveller style I decided to wear my gorgeous, all be it knackered globe necklace again. My camel loafers have made another cheeky appearance to keep the outfit super casual. To round off the style I threw on my favourite oversized boyfriend jumper from ARK. 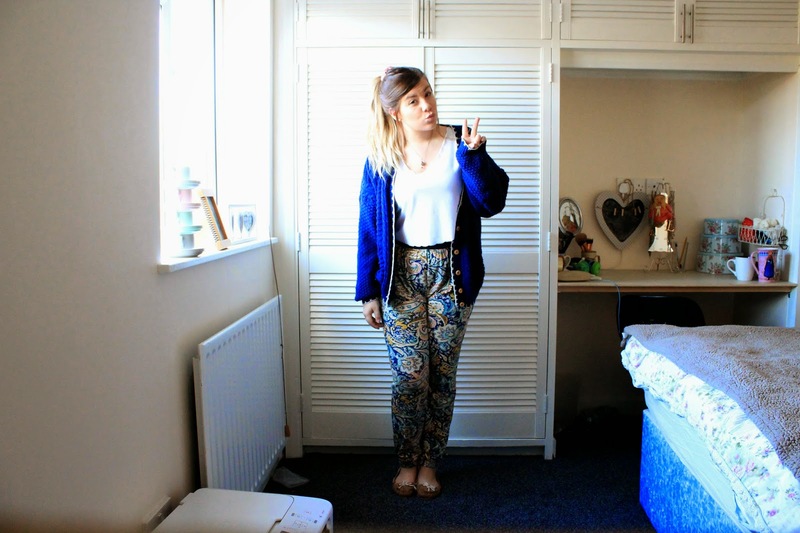 I honestly can't believe I've not featured this yet - as its pretty much my go to cardigan! 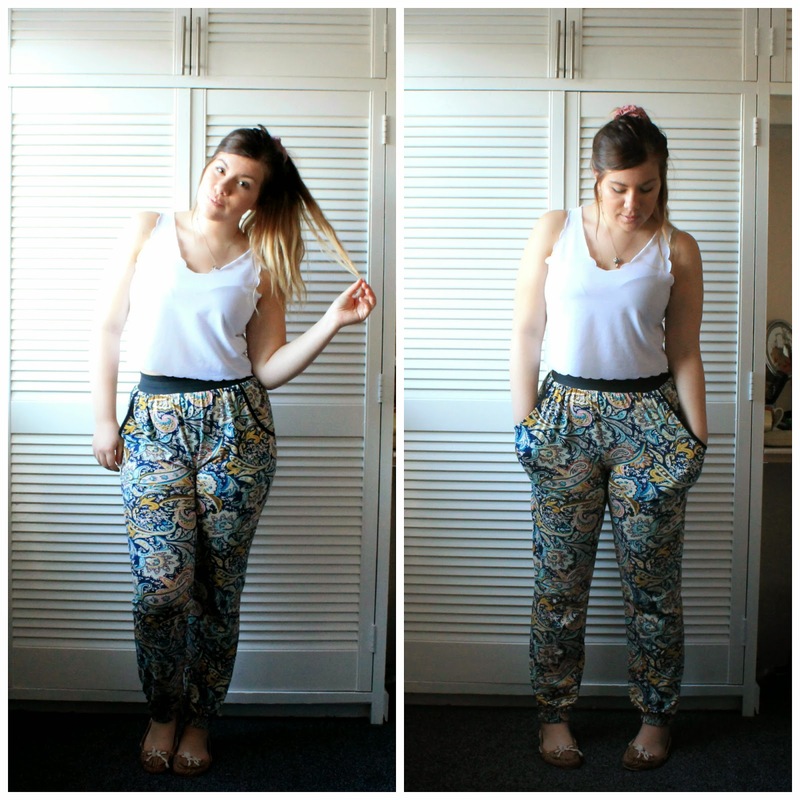 Have you discovered your ideal pair of patterned trousers yet? I'd love to hear about it in the comments!